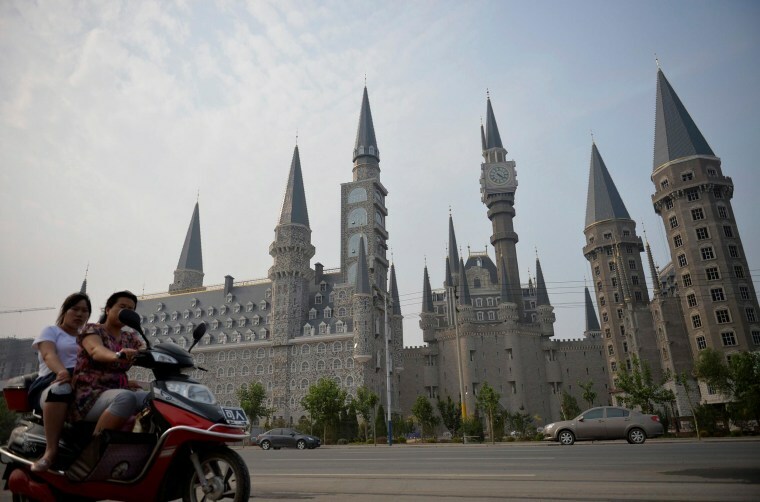 A Chinese university has come up with a novel plan to attract students in this Harry Potter-obsessed country: build its very own Hogwarts. The Gothic-themed buildings at the Hebei Academy of Fine Arts in Shijiazhuang are part of a $64 million fairy tale campus which will borrow from a smorgasbord of global architectural styles. When complete, the campus will also feature a pagoda, a mosque, a cathedral and four helipads, according to China Central Television. The first students are due to enroll later this year.